Have you ever dreamed of building a super awesome treehouse? Now it's time to live that dream! 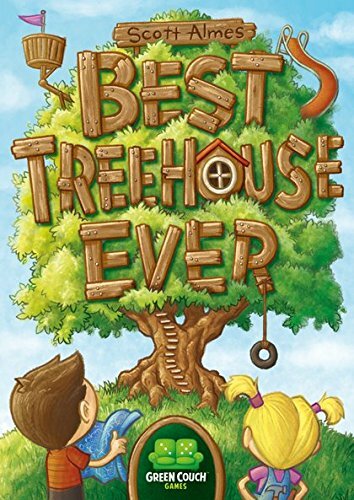 In Best Treehouse Ever, players compete to build the best treehouse in the neighborhood. Players will outfit their treehouse with the coolest rooms, all while making sure their tree doesn't tip over... and that their rooms are the most impressive at the end of the game. Building takes place over three weeks/rounds, and at the end of the third week the winner will be the player with the best treehouse ever! Each round, players use card drafting and spatial reasoning to add 5 new rooms to their treehouse. Players must pay attention to the other treehouses being built since they will take turns determining which types of rooms score for everyone at the end of each round. 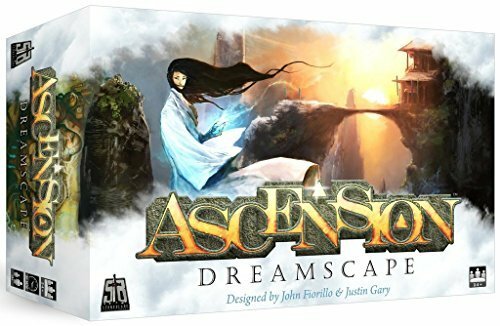 Ascension: Dreamscape is the ninth standalone game in the Ascension series, although the game can be combined with other titles for play with up to six players. This set introduces the Insight resource that allows players to acquire exclusive Dream cards. Player can also use the Dreamscape to access powerful new Vision cards as well as Heroes and Contructs. 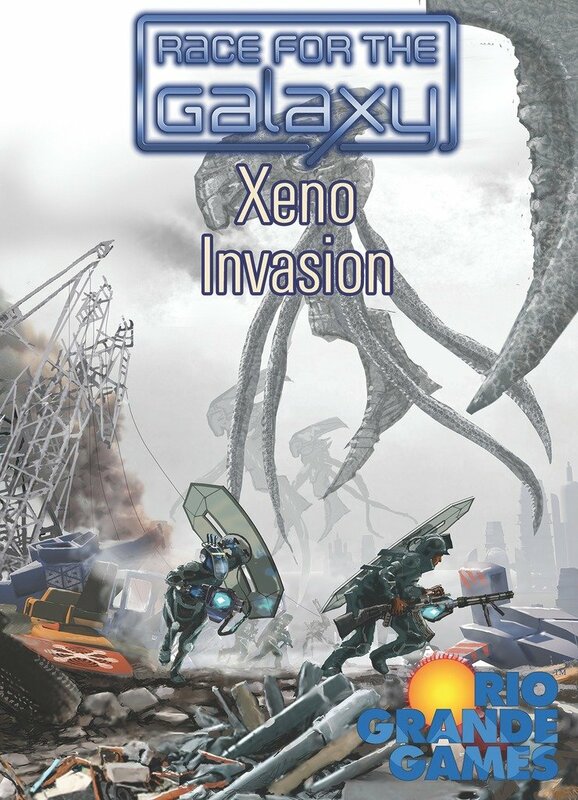 Race for the Galaxy: Xeno Invasion, an expansion for the RftG base game that comprises the third story arc in the game series, depicts the galaxy as being under attack by waves of violently xenophobic aliens, dubbed the Xenos. XI adds Xeno military worlds (worlds conquered and occupied by them), specific military vs. Xenos, and a new keyword: ANTI-XENO. To provide a good proportion of new Xeno worlds, keyword, and powers, XI is not compatible with the other expansion story arcs. Xeno Invasion is aimed at intermediate RFTG players, altering Explore to be mix-with-hand. It adds 51 game cards to the base set and includes a bonus Invasion Game, with Produce: Repair and invasion cards, a repulse track, bunkers, and various counters. The Invasion game adds two new ways the game can end: by either repulsing or falling to the Xenos. In Produce, players can repair damaged worlds and donate goods to the war effort (earning VPs). Players can also earn VP awards by defeating their share of the Xeno attackers and having the highest military vs Xenos, while they lose the use of damaged worlds that they fail to defend (until they are repaired). The Xeno attacks take place at the end of each round, starting with round 3, and typically take less than 30 seconds to resolve so that players can immediately return to selecting their actions for the next round.